Anthony Proietta is an 11 year veteran of the Greenville County Sheriff's Office. Anthony has extensive experience investigating all types of crime. Anthony spent many years as a uniformed patrol officer & field training officer, before being promoted to Investigator. His experience as a patrol officer has helped him develop a common sense approach to people that is useful in all aspects of investigation. He was assigned as a criminal investigator at the rank of Master Deputy, specializing in crimes involving juveniles and child abuse. He has vast experience testifying in both Family Court and General Sessions Court. Anthony has had special training in interview and interrogation, juvenile investigations & gang investigations. During his tenure at the Greenville County Sheriff's Office Anthony was awarded the Medal of Valor and honored for Distinguished Service. Anthony went into private practice in April 2002 utilizing his experience as an investigator to provide professional investigative services to attorneys and the general public. 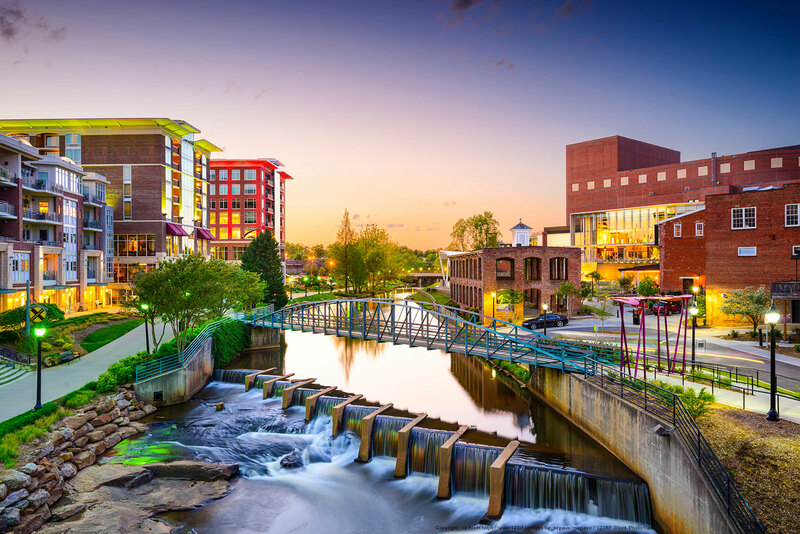 Anthony has experience as a Private Investigator in the investigation of adultery & child custody issues, surveillance, criminal & civil investigations & service of civil process. Anthony is a graduate of the South Carolina Criminal Justice Academy, and he holds a Bachelor of Science from the State University of New York College At Fredonia. Anthony Proietta & Associates Investigations, LLC utilizes state of the art G.P.S. tracking equipment and covert micro cameras. The company invests in the latest technology to ensure that all available means have been utilized to bring your case to a proper investigative conclusion. All case files are prepared to be court room ready, with video and/or digital photos included. Charlene Proietta and Ashleigh Andrews specialize in Skip Tracing and Information Services. Charlene and Ashleigh have experience locating hard to find individuals and entities. The company maintains a computer data base of the finest information service providers in the industry, as well as utilizing all available public record searches. Charlene and Ashleigh are the best in the business when it comes to comprehensive background checks & they leave no stone unturned. 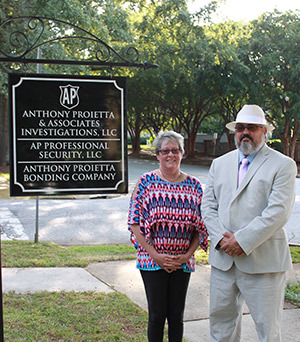 Anthony Proietta Bonding Company has been serving Greenville since 2005. 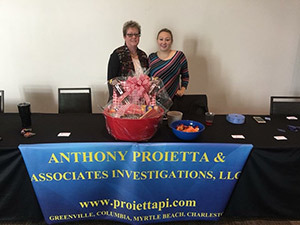 Anthony also provides the finest security services in South Carolina since 2008, after establishing the investigative company Anthony Proietta & Associates Investigations, LLC in 2002. © Copyright Anthony Proietta Associates Investigations, Inc. All Rights Reserved.